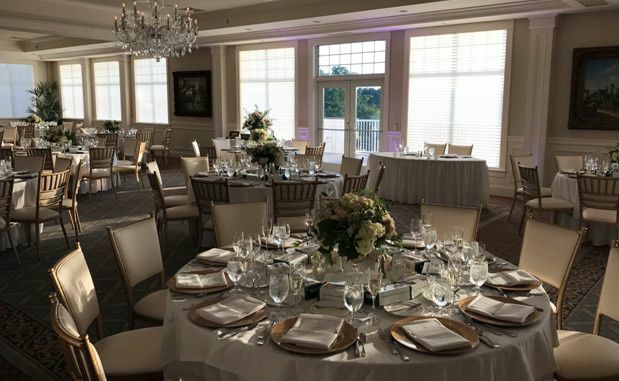 For couples seeking a luxurious venue, the Trump National Golf Club - Colts Neck is a golf club in the Northern New Jersey area. 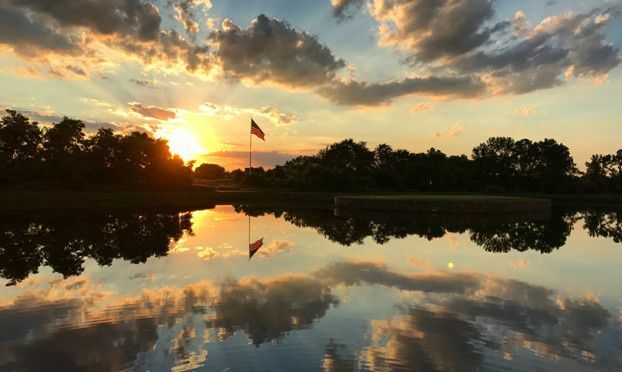 This golf club is sophisticated and elegant, with a green course and colorful sunsets in the evening. 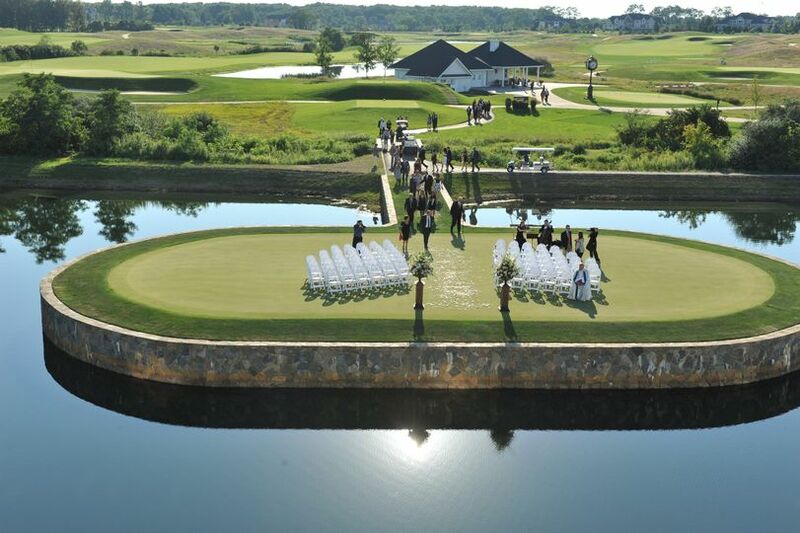 Upon the green grasses of this golf club, couples can invite a minimum of 25 and a maximum of 225 guests to their wedding. For ceremonies, there is a stretch of grass in the middle of a lake. 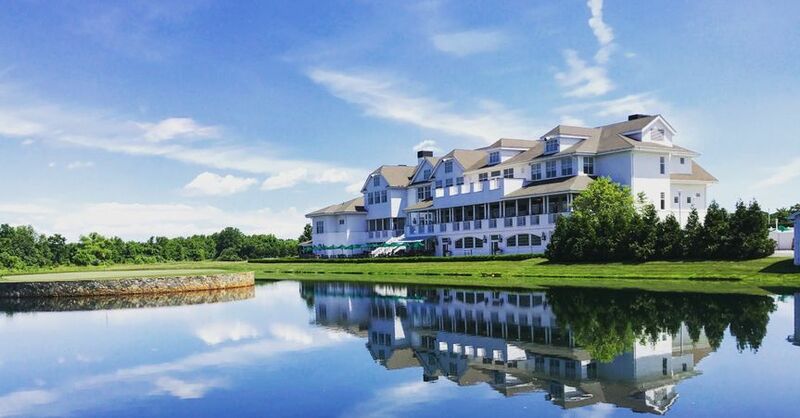 On this grassy strip, couples can wed surrounded by blue skies and the reflection of the skies in the water. 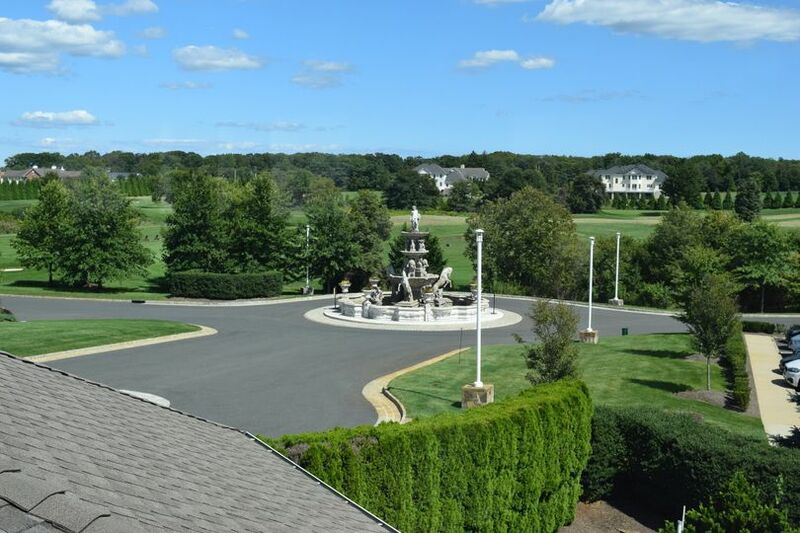 Approaching this clubhouse from the driveway, couples and guests will discover a large fountain. 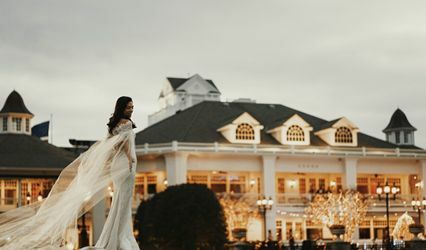 This is a great place to take wedding photographs. 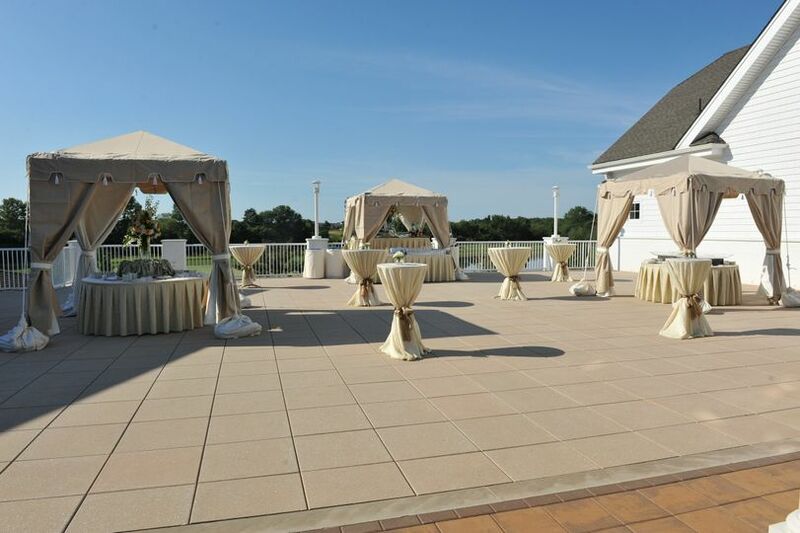 There is also a terrace patio with cement flooring and a railing. 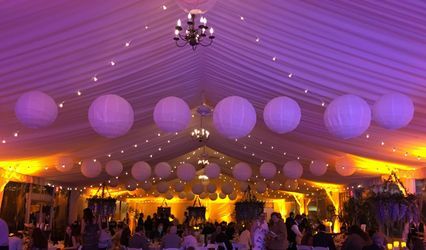 This can be used for a ceremony or a cocktail reception. Inside this house there are many huge rooms. 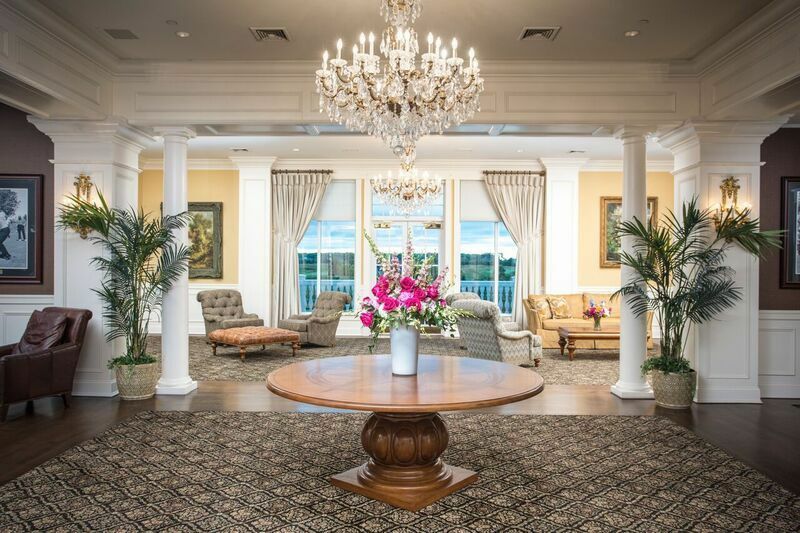 These rooms feature accents such as chandeliers, windows, and walls, painted in a neutral color scheme. This allows couples to decorate the rooms according to the style of their wedding. Also upon the walls of these rooms are artistic looking paintings in ornate frames. When my mom and I first saw this venue, we instantly fell in love with it. 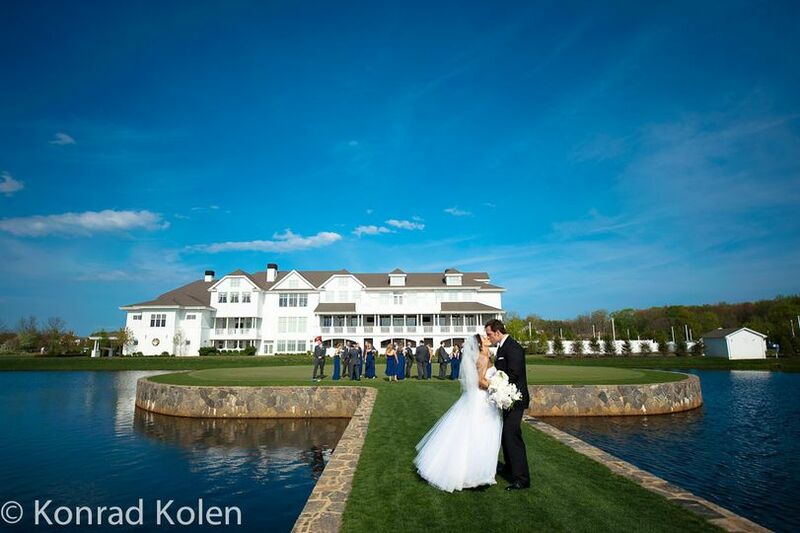 My husband and I always wanted a country club wedding(as we both come from big golf families). 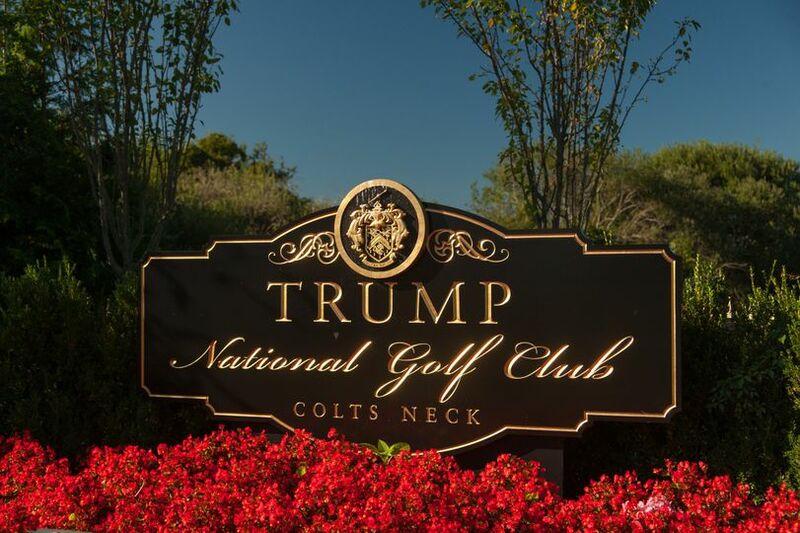 Trump in Colt's Neck was exactly what we were looking for. Not only is the venue spectacular, but the whole entire staff is amazing! They went over the top for me on my wedding day. I woke up to a slightly rainy/windy morning, but right when I got to Trump, I didn't even notice the weather. From the moment I walked in on my wedding day, it was all decorated for me. The cocktail area and reception blew me away. My ceremony room was so beautiful. Even the bridal suite is so accommodating for a big bridal party. Carole, Brittney, Andrew and the whole wait staff were outstanding and I will never forget them helping me create the best day of my life! Absolutely amazing! My wedding was everything and more than I even imagined. We had cocktail hour outside which was BEAUTIFUL, the food was amazing, and everything was set up EXACTLY how I wanted. The staff has been amazing all through out my planning and have always been there to make me feel less stressed. (Carole and Brittney — you two rock!) Overall, everything was amazing. What an incredible classy place to have a wedding. Kevin was phenomenol and made everything a reality for us. The place was so accommodating and went above and beyond all of our expectations. Our guests told me that it was the classiest wedding they have been to. Service was top notch, cocktail hour, dinner dessert was incredible. 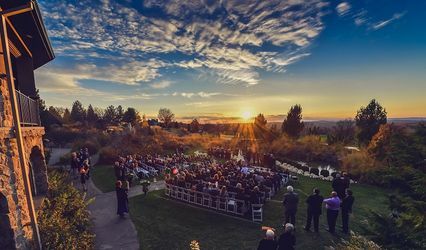 We couldn't have picked a better venue for our wedding!! !